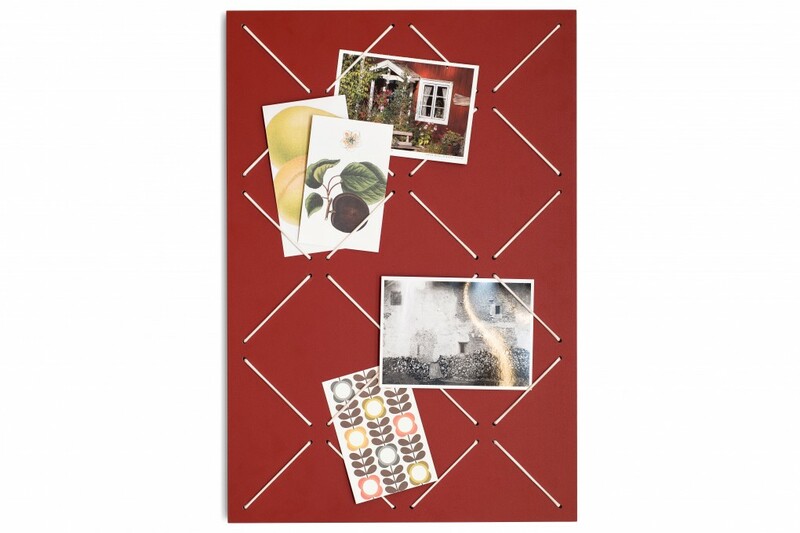 This bright red Advent calendar certainly spreads Christmas joy in your home! 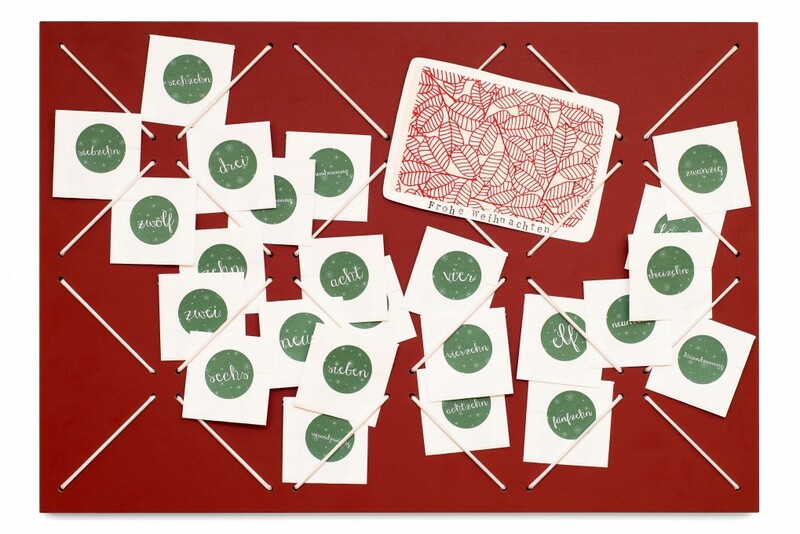 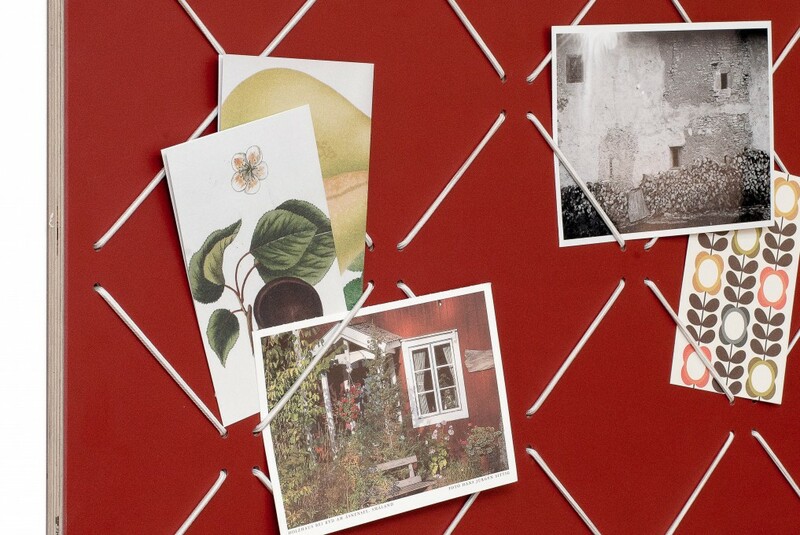 Just stick red stickers on the gift bags for a tone-on-tone Christmas wall decoration. 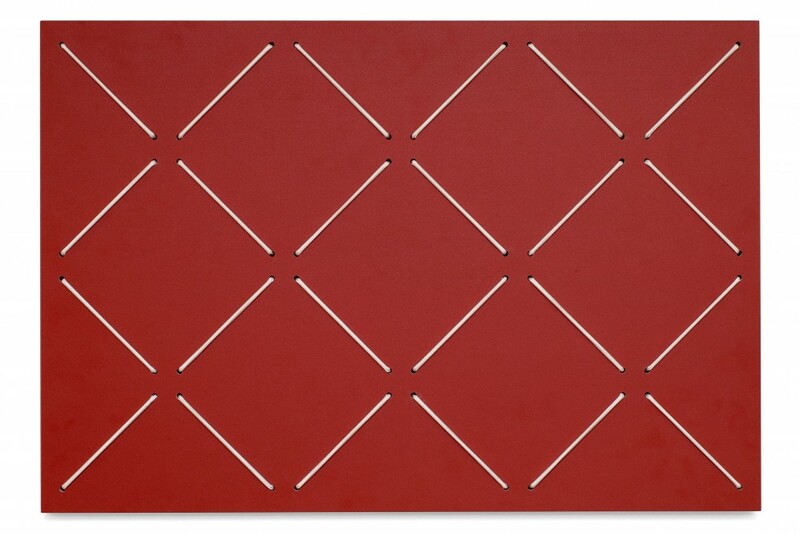 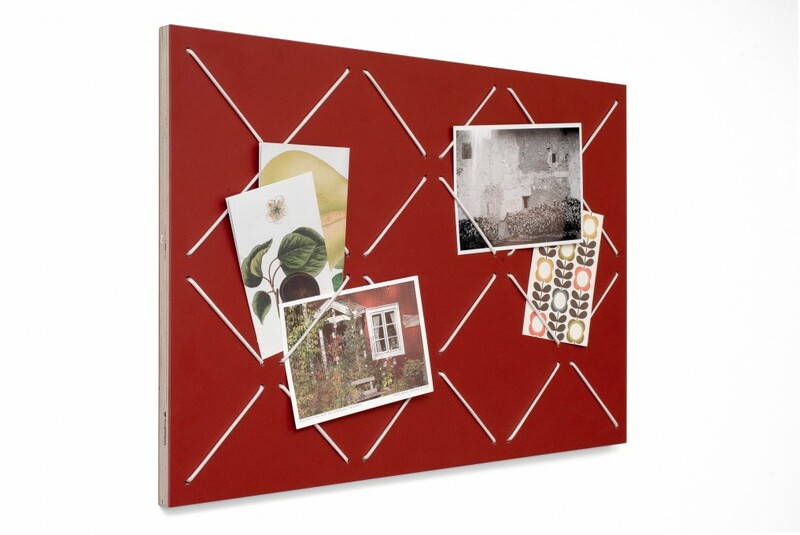 The Advent calendar is made from a sturdy multiplex base with a red linoleum surface. 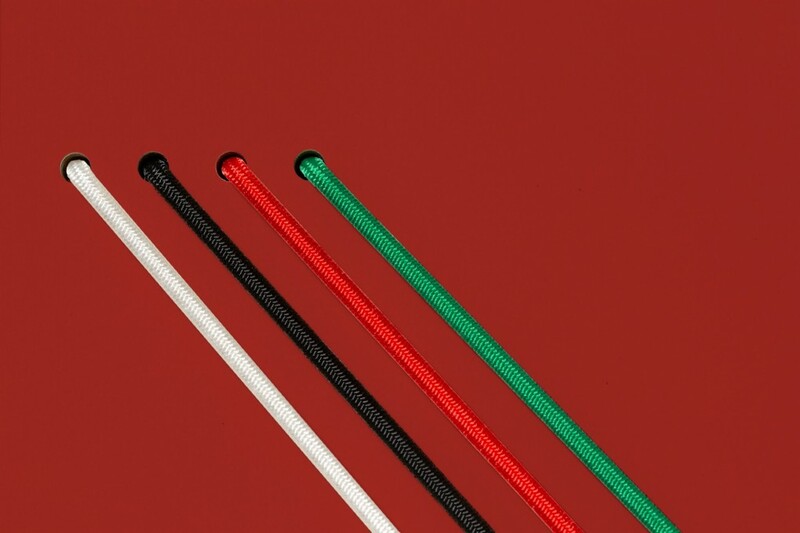 The strings are pulled through the holes and tied down tight at the back of the calendar. 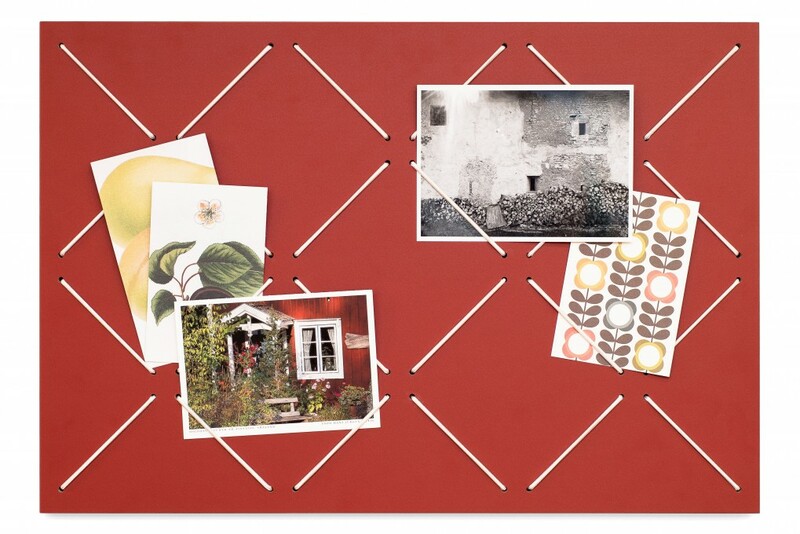 It can easily be mounted with two screws (landscape or portrait). 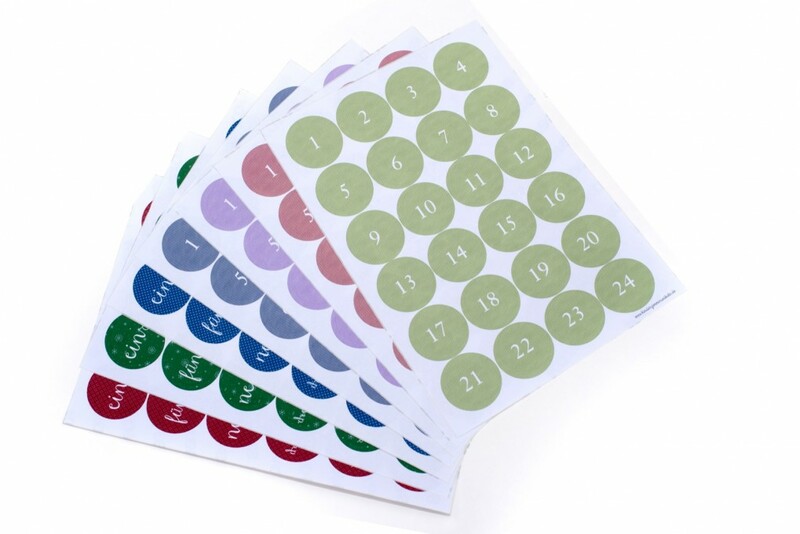 Use this versatile product as a pinboard during the year - it's the same item, just with extra stickers and gift bags.